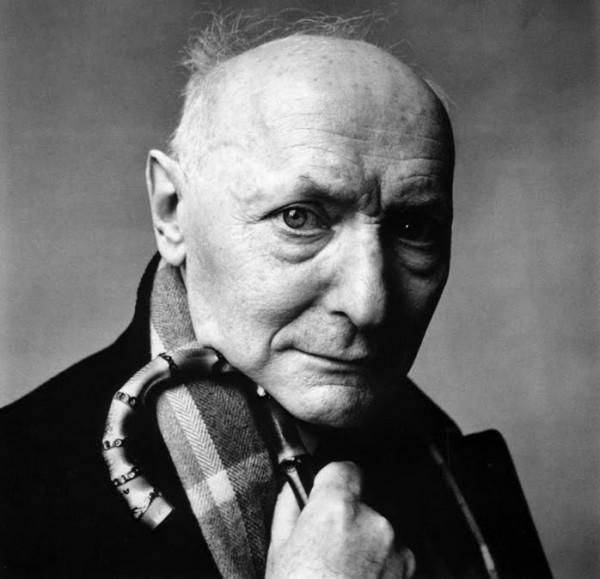 It was through Isaac Bashevis Singer that I first saw an opening to what came to be, for a number of years at least, a central focus of my work as a poet. I met him only once, a year or so after the American publication of Satan in Goray in 1957, and it took me at least a decade to absorb that book and the books that followed into my own system of writing and thinking. Our meeting was arranged by Cecil Hemley, who was Singer’s editor at Noonday Books, with the mistaken idea that I might know enough Yiddish to take on some of the translation for what was coming to be a major Noonday project. Singer was only just getting to be known – outside of Yiddish circles anyway – but my own reading of Satan in Goray and the Gimpel the Fool stories was already working on my imagination with a sense of something new that might find a way into the poetry I was then learning to compose. Two things stand out in my memory. The first was Singer’s reaction to a recent review in the Times – Irving Howe writing on Satan or on Gimpel, or possibly on both. Hemley brought this up over lunch, in particular a comment by Howe that Singer was a “cruel” writer, and asked him what he thought about that. Singer shrugged it off with a comment that stuck with me and that I often repeated: “Since when has cruelty been a crime?” (Or maybe he said “a sin”; I’ve told it differently at different times.) I was still a young poet at the time, and a statement like that had a real frisson for me. The other thing I remember was that I asked him whether there were any Yiddish poets who did anything comparable to what he was doing in his fictions. We talked about what that comparable thing, that quality, might be, and in the end he came up with a blank and an indication, I thought, that the matter was of no great concern to him. It was to me, however, and it began to confront me with a question to which I still had no answer – if there were such a Yiddish poetry, a poetry of cruelty in Artaud’s sense (or Singer’s for that matter), what form would that poetry take? For me the work that followed was a booklength poem or poem-series called Poland/1931. While most of the poems in Poland departed sharply from the opening Stein imitation, Singer’s books remained part of the body of largely documentary materials from which I drew toward the construction of an imagined (I stress imagined) Jewish Poland. That work was my own attempt at a fiction of some dimension or what fellow poet Ed Sanders included in another context as an “investigative poetry” made up of “radiant data clusters.” For this, Singer was one of my guides into that Jewish underworld toward which my poetry was tentatively reaching. Such an underworld – and its sexual side in particular – was a block, I later found, for many of Singer’s Yiddish readers. In my own family, Singer’s brother [I.J. Singer] and other Yiddish novelists were cited as his superiors, for reasons that I felt and still feel were spurious. But for other readers of hisYiddish and for those of us who were reading him in English, his work was an incitement and a path to those “Jewish mysteries that one confronts in a place no less dangerous or real than that abyss of the Aztecs: … a difficult, a dangerous place, a deathly place: it is dark, it is light …” Or so I wrote in the pre-face to A Big JewishBook (a.k.a. Exiled in the Word), my revisionist anthology of Jewish poetry “from tribal times to the present.” Of course I included Singer in that one among the many “cruel poets” (old and new) for whom he was, I thought, an always present, always necessary, ally. The following are Gertrude Stein’s “Dates” and my variations on her & on Singer, as described above. Wet yes wet yes wet yes sprinkle. Wet yes wet yes wet yes sprinkle. Fat yes fat yes fat yes idol. Fat yes fat yes fat yes idol. S & Z & S & Z. S & Z & S & Z. S & Z & S & Z. Selah.